Thank you for your interest in our new shirts and hoodies and for helping us promote the belief that food IS medicine! We are a little overwhelmed with the quick and unexpected response so stock is limited. This is not a profit making exercise and we have tried to keep prices down as much as possible. This is somewhat difficult given that we are doing a small run and we cover some of the shipping costs. We only charge a flat $10 fee within Australia and all national orders are shipped via Express Australia Post. Shipping outside Australia is calculated upon checkout and please note that ALL ORDERS ABOVE $149AUD come with free express shipping worldwide! 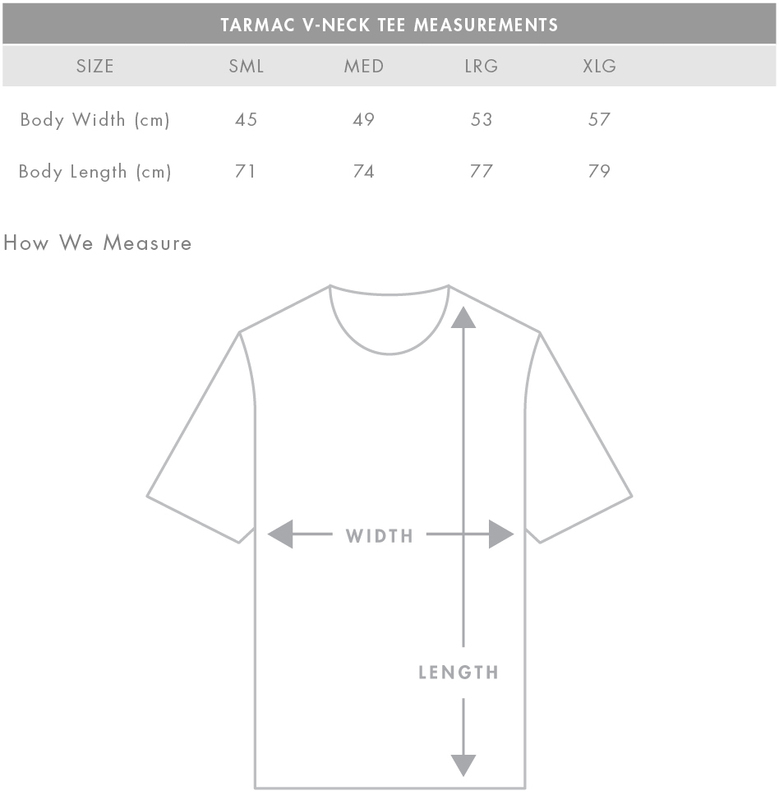 Please review the guide below to confirm your size. **If we do not have stock on hand, we will be doing a run for custom orders. Anything not on hand can be expected to arrive no earlier than mid-April and no later than the end of April. Any exchanges are subject to availability.